March 12, 2019, Commissioner Melissa McKinlay presented a proclamation recognizing 90 Years of Library Services in the Tri- Cities. 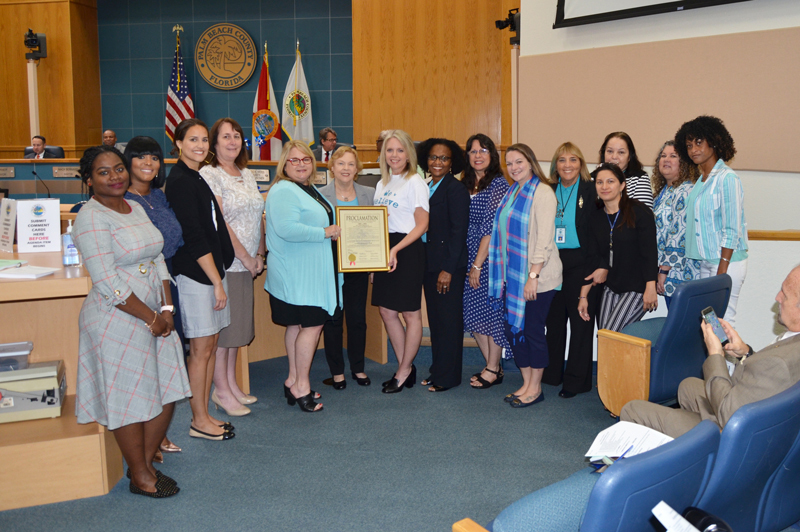 March 12, 2019, Commissioner Melissa McKinlay presented a proclamation to representatives from the Women’s Chamber of Commerce of Palm Beach County. Nov. 20, 2018, Mayor McKinlay presented a proclamation declaring November 20, 2018 as Michelle McGovern Day in Palm Beach County. 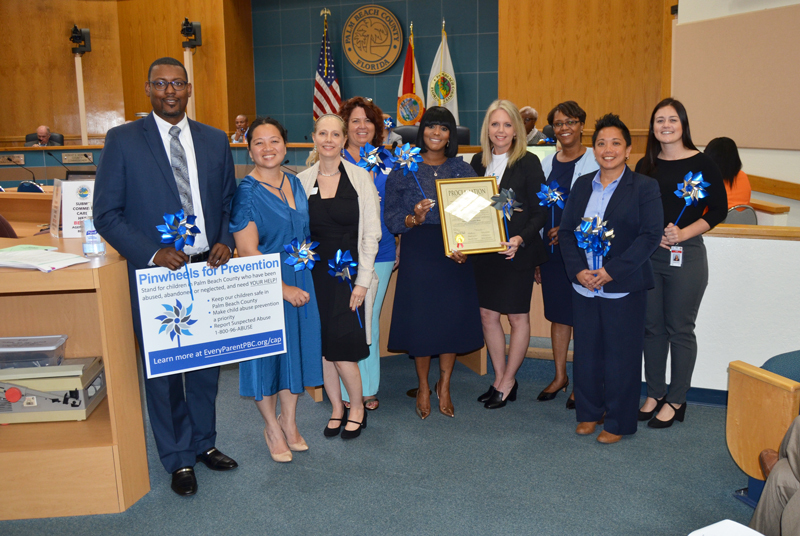 Nov. 20, 2018, Mayor McKinlay presented a proclamation declaring November 2018 as Hunger and Homelessness Awareness Month in Palm Beach County. Nov. 20, 2018, Mayor McKinlay presented a proclamation declaring December 1, 2018 as World AIDS Day in Palm Beach County. 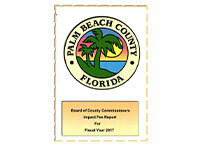 For the ninth consecutive year, the Clerk & Comptroller, Palm Beach County presents Checks & Balances: Your Guide to County Finances. This annual guide is an essential tool to help you understand how public money is managed. 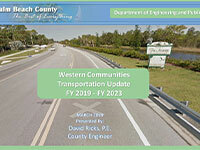 Most of the information in this award-winning report is derived from the Clerk & Comptroller’s Comprehensive Annual Financial Report (CAFR) for the fiscal year that ended on September 30, 2014. 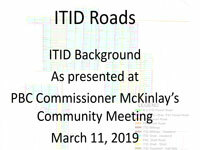 District 6 Meeting - Roads: Who, What, Where, When?